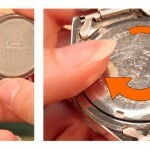 Once you have your watch case open, eventually you will need to close it again if you want to wear it. 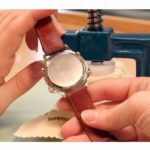 Luckily, closing a watch back is almost as easy as opening a watch back when you know what kind of watch case back you have. 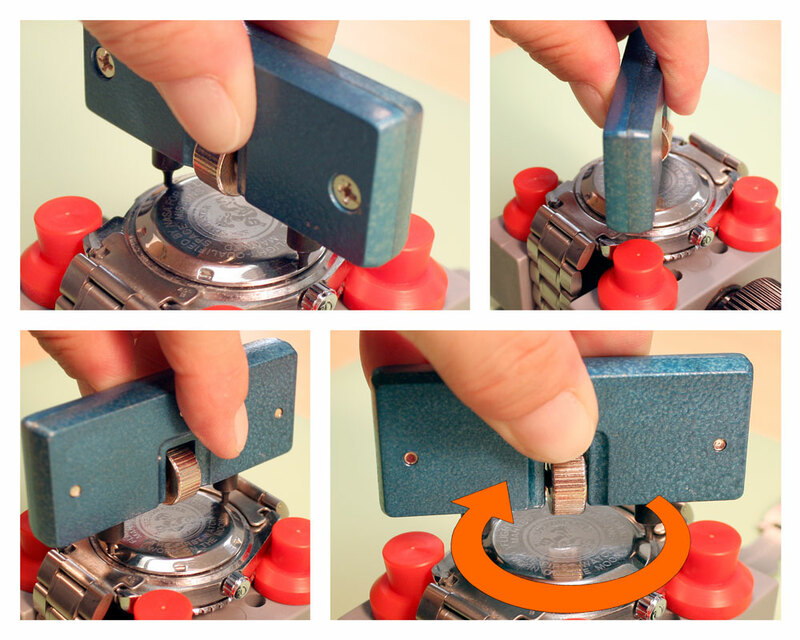 In this article, we will be addressing how to close a screw down watch case back. These watch case backs have notches regularly placed on the case back. 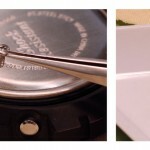 The first step once you are ready to close a watch case is to check the watch gasket. Gaskets can get old or be damaged during repair – if you are concerned about the state of your gasket, replace it. 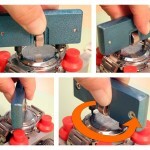 For help on this, check out our article on How to Replace a Watch Gasket. Start by placing the back on the case, making sure it is not tilted on an angle. Then begin tightening the back with your fingers, turning it clockwise. This keep the back from getting placed crookedly on the watch back. When you can no longer tighten the back with your fingers, take the case wrench and line the tips up with the notches again. Use the adjuster wheel between the notches to open or close the jaws until the match the diameter of the notches in the case back. Once the tips fit in the notches of the case back securely, use the wrench to tighten the back the rest of the way, still turning it clockwise. 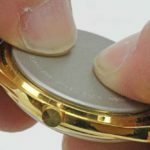 When you can not tighten the back anymore, you know the back has been securely replaced on the watch. no lube on the gasket?